If you are incredible and need a tank top then check out this women’s I am Incredible tank top. 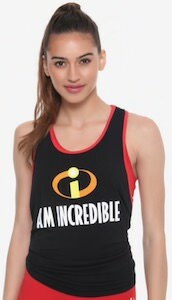 The tank top is perfect for every girl that likes The Incredibles as it shows the Incredibles logo and that is the I in the text as with the logo it says “I Am Incredible” and it looks great on the front of this black tank top that has red edges and on the back you can see the text “Never Look Back”. The tank top is great fun as a work out top or just something you like to wear all summer long. If you really like the classic TV show Friends then you should check out this Central Perk logo tank top. The women’s tank top is made from 60% cotton and 40% polyester and comes in women’s sizes XSmall – 2XL. The white tank top has red details around the arms and neck and on the front you can find the Central Perk logo and that will make people understand that you like Friends and probably coffee with friends at your favorite coffee shop. Now you are ready for rewatching Friends on Netflix as you will be dressed for it. 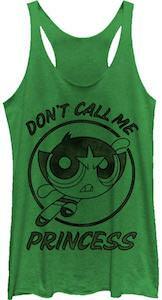 If you like The Powerpuff Girls and don’t like it when people call you a princess then you will need this Buttercup don’t call me princess tank top. The free tank top has a black print on the front that shows Buttercup in a circle and this Powerpuff girl is saying “Don’t call me princess” as that is printed around the circle. If you expect people to call you princess then this shirt may work but it also do the opposite. 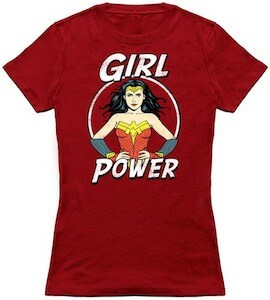 You can get this women’s shirt in junior sizes Small – XL and is made from 50% polyester, 25% cotton, and 25% rayon. If you are a big fan of Grey’s Anatomy then this Grey’s Anatomy tank top is what you need. The tank top is unisex making it perfect for men and women and comes in sizes XSmall – XL and comes in many colors too and if you like shirt or hoodie then that is an option too. 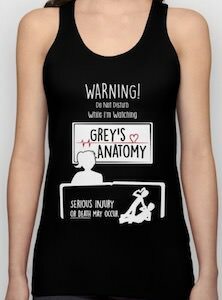 On the tank top you can see you sitting on the couch watching Grey’s Anatomy on TV and on the shirt is says “Warning! Do not disturb while I’m watching Grey’s Anatomy serious injury or death may occur.” and you can even see a beating happing behind the couch. So if you are or know a true Grey’s Anatomy then get this tank top to warn people around them. 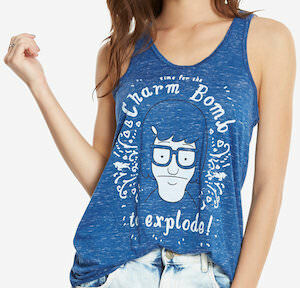 If you like Bob’s Burgers and want a cool top then check out this Tina charm bomb tank top. 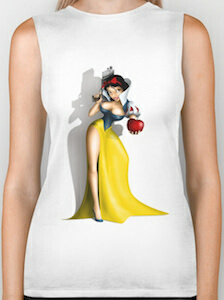 The women’s tank top is made 95% polyester and 5% cotton and comes in a wide selection of sizes. The Bob’s Burgers shirt is heathered blue and has a racer back. On the tank top, you can find a picture of Tina Belcher in the middle and around it the text “Time For The Charm Bomb To Explode”. It’s just a fun shirt that is great for summer as it is a tank top but also one that is easy to combine with other pieces clothing you own so that you can wear Tina in winter too. 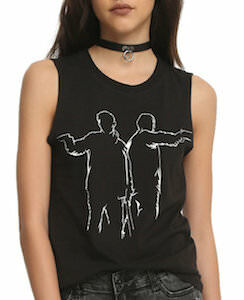 Now there is a black muscle tank top for Supernatural fans like you. The women’s tank top is black and on the front, you can find the Winchester brothers but not as a picture, this time they are just outlines but they are clearly Sam and Dean. As expect the brothers are armed and ready with guns and more so that they can protect you from demons and more so make sure you wear this shirt at all-time if you want the protection of the Winchester’s. The Supernatural muscle top is made from 100% cotton and comes in women’s junior sizes Small – 2XL. 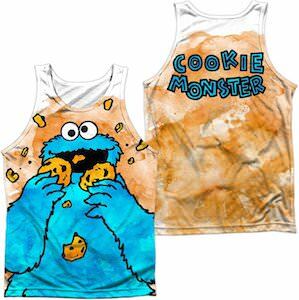 If you like cookies and need a cool tank top then you need this Cookie Monster tank top. 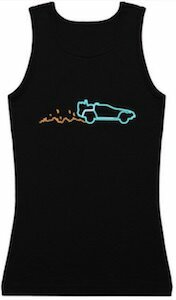 The tank top is unisex making it perfect for both men and women and is available in sizes Small – 3XL. The tank top is white but all over you can see a brown color on it and that, of course, are all cookie crumbs. On the front, you can see Cookie Monster eating cookies and on the back, it has his name. So if you like the Sesame Street character that makes all the cookie disappear then this is the tank top you want.